Writing can be a solitary endeavor. But when you’re ready to share your art, you’ll have to seek feedback from others. 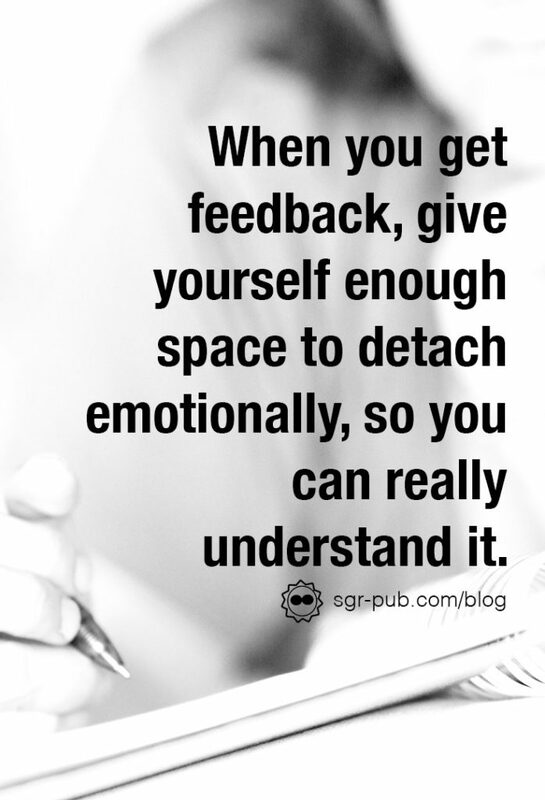 Learning how to take feedback is an essential tool in the writer’s toolbox. Of course, line edits and typo checking are pretty easy to fix. When it comes to the more subjective areas, like characterization, plot, and overall likability, it’s good to know what’s good feedback and what should be set aside. In a few weeks, we’ll talk about where to find sources of feedback (editors and beta readers), but before we get there, it’s important to be prepared. Read it, understand it, then let it sit. A lot of writers talk about giving the manuscript “space.” It means to step away from the work long enough to detach emotionally from it. When you’re in the thick of drafting, cutting or changing can seem daunting. Taking a break from the work means you come back with fresh eyes and more energy. The same concept can be applied to taking feedback. On first blush, “I didn’t connect with the character” can seem like a slap in the face. But after a week, maybe you reread your manuscript with that thought in the back of your mind. Perhaps you locate small tweaks in dialogue and action to make your characters more relatable. 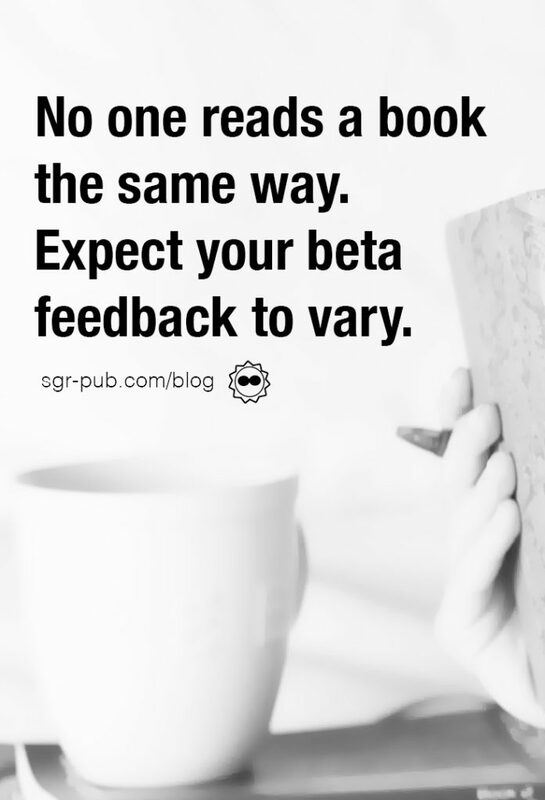 Just as you shouldn’t expect to get five star reviews from every reader, you should expect a varied response from your beta readers. It’s not uncommon for each person to come back with different feedback. The key is understanding which feedback deserves full attention. In general, if more than two people make the same comment, it should be a red flag that something should be fixed. Otherwise, use your discretion as the author. Maybe you make small tweaks to dialogue, as we said above. Or perhaps an entire plot point needs to be scrapped. If you’re writing a book that requires sensitivity readers, their feedback should be taken with a bit more gravitas. When penning a story that features heavily in another culture, it’s a good idea to recruit a few readers who live that culture. The more perspectives, the greater chance your book will be true to life. On the other hand, if feedback comes out of left field, boil it down to the basic criticism, and focus there. For example, when the dragon book was in the beta stage, we received a ten paragraph essay on how the book could be more like Outlander. The book, however, was nothing like Outlander, nor was it intended to be. Instead of making the book something it’s not, we took it as a signal to focus more on worldbuilding to prevent others from making the same error. Another rookie mistake authors make is to adjudicate comments too quickly. This is especially an issue when working with an editor. When you don’t take the time to really work on comments individually, you may not do as good a job. While you think you’ve fixed the problem, you may have just slapped on a bandaid. Give yourself plenty of time to make the changes. When edits come from multiple sources, we like to consolidate them as comments in the text. We use Scrivener, so any comments have to be incorporated this way anyhow. For Word users, you can combine two versions of a Word document to get everything in one file. Then we knock out the punch list until everything’s been taken care of.